Are you or anyone you know gluten free? Do you feel like there is something missing from your life? Something delicious, and moist? Something full of rich chocolate flavour? Something sugary and sweet? Well look no further, here I have made a flourless chocolate cake, stacked and filled with chocolate ganache and covered in a thin layers of both homemade buttercream and coloured fondant! This cake was made just for fun, to celebrate my sweetheart! 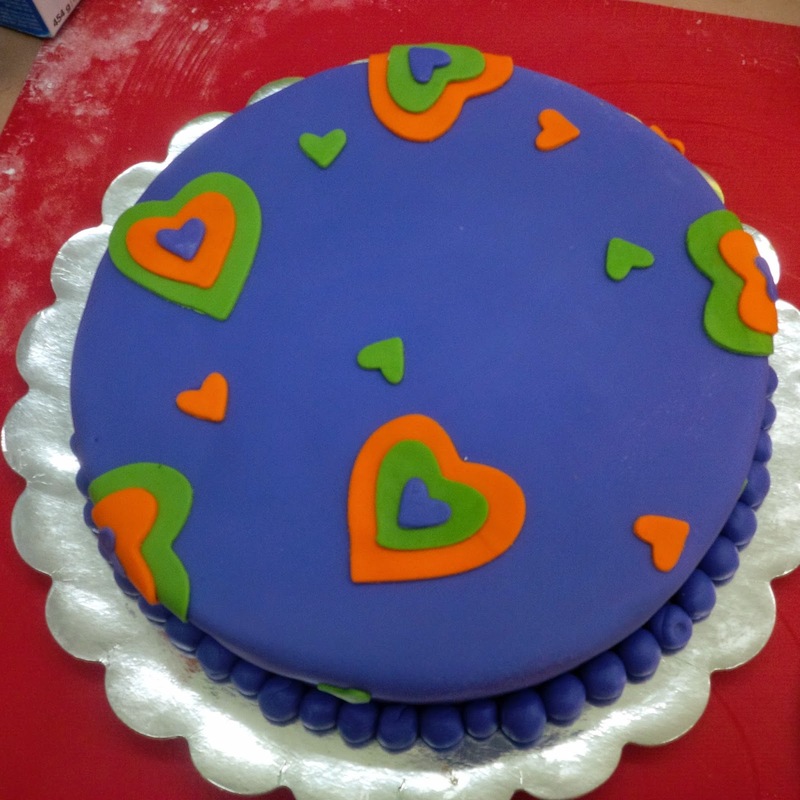 Size: This cake was made out of 2, 9 inch cake pans, because of the flourless aspect, it does not rise, therefore it creats a very dense, short, cake. Flavour: This was a flourless chocolate cake, lots of chocolate flavour from both semi-sweet chocolate and cocoa powder. 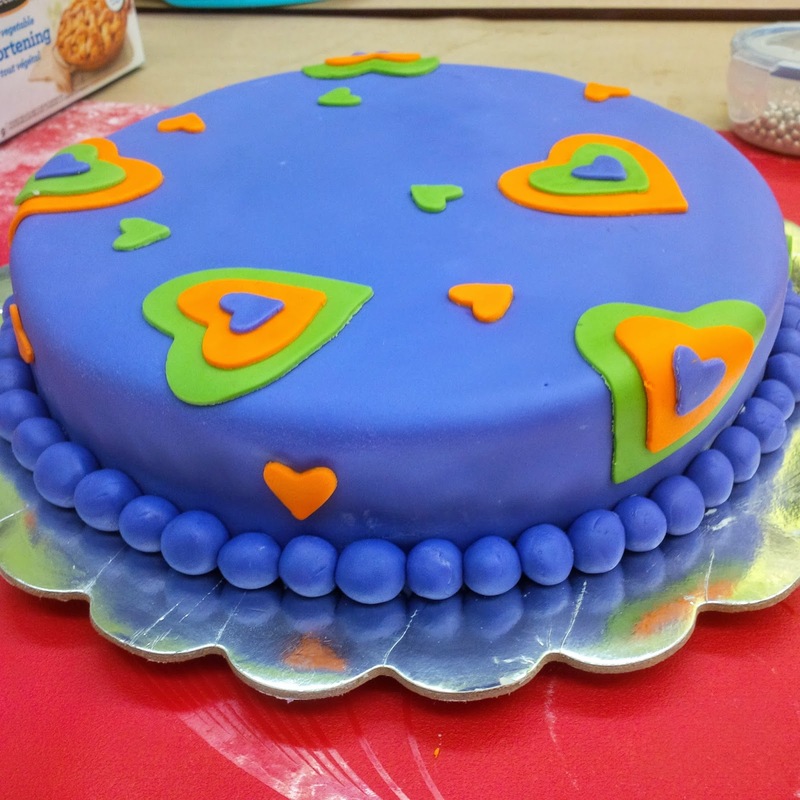 Filling: This cake was filled with a homemade chocolate ganache.